These lamb meatballs are simply fantastic. 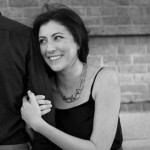 They’re a unique and delicious combination of distinct yet complementing flavors, and they’re perfect for this time of year.My husband and I spent some time in Greece last summer eating up as much of this as we could, and I’m thrilled to bring those tastes back into my home with this recipe. Now that summer is officially here I’m on the lookout for easy, flavorful recipes like these meatballs right here. 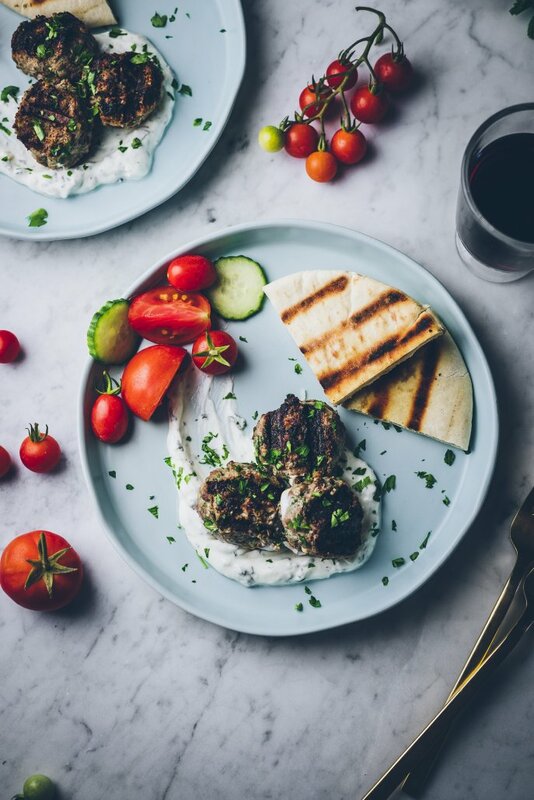 The lamb meatballs have just the right combination of spices and fresh herbs, and at the first bite they transport me right back to those gorgeous meals we had in Greece. Onion and garlic give each bite a familiar aroma, while the cumin and coriander add an exciting depth of flavor. These meatballs also have some parsley, which adds a bit of needed brightness to the dish. A final touch of feta melts into a succulent fusion with the lamb while giving bursts of tanginess. Now, I don’t cook lamb very often, but whenever I do I wonder why I don’t cook it more frequently. It’s a wonderful protein—hard to go wrong with it, but it’s important that you prepare it the right way! When it comes to these meatballs I prefer to grill them, since this process locks in all the juices while creating a more dynamic texture contrast between the crisp exterior and tender interior. If a grill isn’t available then a grill pan will do the job just as well. 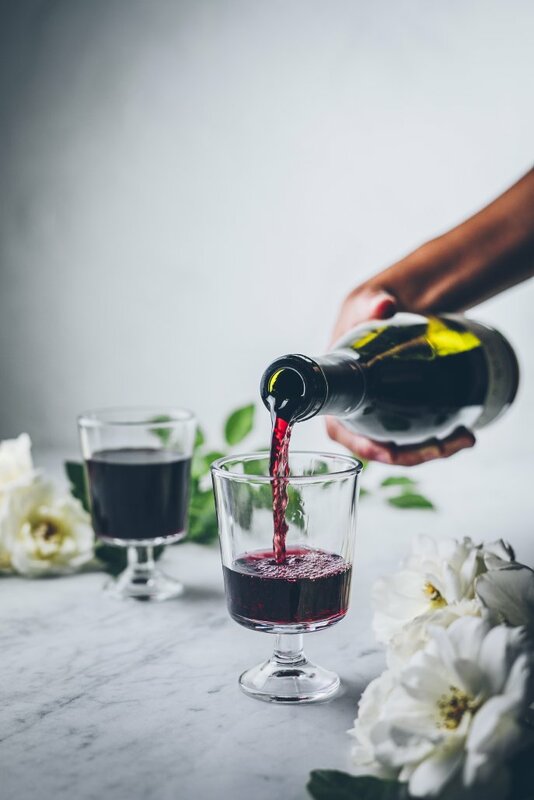 Every good meal deserves an equally delicious glass of wine, wouldn’t you agree? When looking for the ideal wine to complement this dish, I immediately reached for La Crema’s Monterey Pinot Noir. This is a fantastic wine to pair with this dish. Notes of citrus, pepper, and fruit work really well on many levels with the dish’s herbs and spices. The wine is also earthy and tart, which combines pleasantly with the unique combination of lamb and feta. 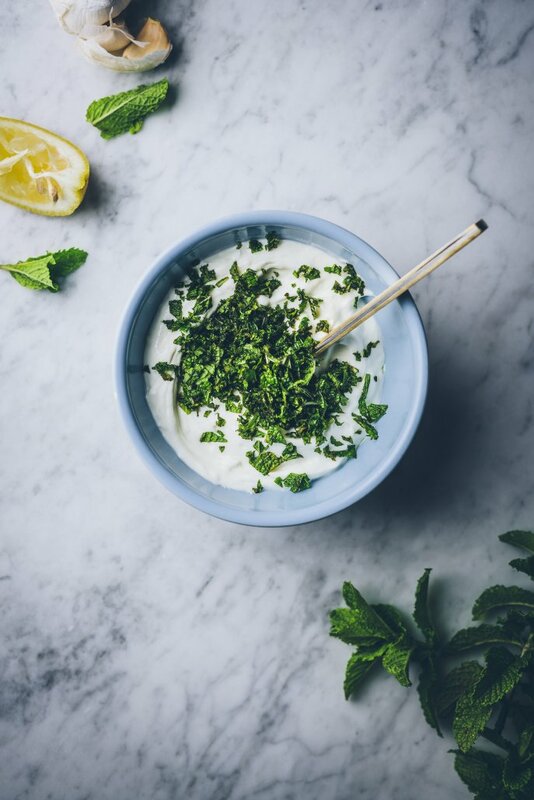 Begin by making the yogurt-mint sauce. Add all of the ingredients to a medium bowl and mix until combined. Season with salt to taste. Cover and set aside until ready to use. For the meatballs, add all of the ingredients for the lamb meatballs to a large bowl. Gently mix everything together with your hands, taking care not to over mix (this will ensure the meat stays tender). Roll the meat into 16, two-tablespoon-sized meatballs. Heat an outdoor grill to high heat. Lightly oil the grate, then place the meatballs on the grill and cook for 12 minutes, 6 minutes on each side. Alternatively, you can cook these meatballs on a lightly oiled grill pan set over medium-high heat, and cook for the same amount of time. Serve the meatballs with a large dollop of the mint-yogurt and with a wedge of lemon. 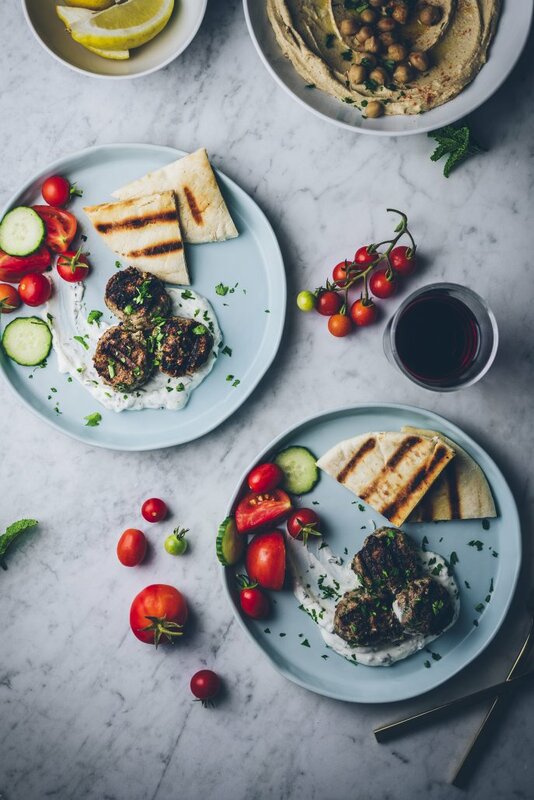 May these lamb meatballs bring you that little taste of Greece that my husband and I love so much—enjoy! Bright. Juicy. Lingering. Extended time on the vine creates an unrestrained flavor profile of bright rich flavors.